Verizon Wireless bets on the new “Internet of Things” (IoT) trend and is already working on diverse projects to further develop smart connected devices that will be benefit consumers, companies and the environment. The Internet of Things (IoT) is a system of interrelated computing devices, mechanical and digital machines, objects, animals or people that are provided with unique identifiers and the ability to transfer data over a network without requiring human-to-human or human-to-computer interaction.unique identifiers and the ability to transfer data over a network without requiring human-to-human or human-to-computer interaction. As the economy grows more and more digital, IoT will revolutionize how businesses and the economy will operate in coming years. According to Verizon, IoT will mainly bring about changes in cities infrastuctures and the healthcare, agriculture and energy systems. Besides enhancing consumers’ everyday lives, Verizon Wireless, the subsidiary of Verizon Communication that offers telecommunication products and services, believes that focused investment on IoT could help businesses and companies to develop. 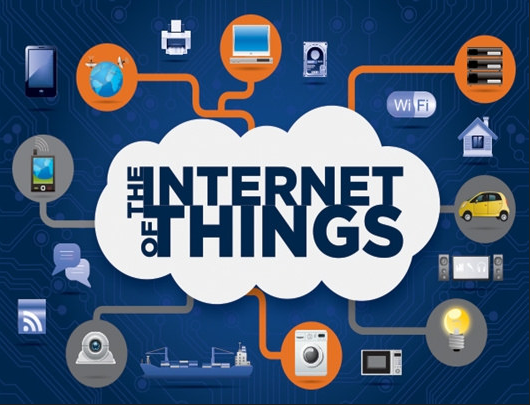 In fact, the size of the IoT market is expect to rise from approximately $235 billion in 2016 to $1.3 trillion by 2019, and the number of connected objects in the US is expected to increase from 9.7 billion in 2014 to 25.6 billion in 2020. The Verizon company anticipated this transition towards an IoT world by creating, for example, a much more efficient wireless network core. Verizon has also created ThingSpace, a platform to develop and deploy IoT applications. The objective is to create applications that respond to specific tasks in a quick and simple way. This platform is not exclusive to Verizon and other businesses can also use it. The platform was used in the sector of the sharing economy. Verizon helped to develop applications such as vacation rental and and bike rental. The company also developed its own Auto Share platform for car sharing. This app has being used on US college campuses. Another example in the agriculture sector with this New England oyster farm that created, thanks to ThingSpace, an application to manage the conditions and growth rates of oysters in order to improve its rate of oyster productivity. According to Verizon, connected devices is vital in some industries and this inroad into IOT will continue to grow. For example in the US, the number of connections from a connected device in the transportation and distribution industries grew by 49% in 2015. This illustrates the need to be connected to the Internet at all times in our everyday lives in a world of connected devices is no longer fiction, but a reality. Tanaza also embraces the inroad into IOT connectivity via Smart Wi-Fi. Its Wi-Fi Cloud management solution is currently being used by Tacira Technologies to provision smart digital services in public spaces throughout Brazil.